James A. Blumenthal, PhD ABPP is JP Gibbons Professor of Psychiatry and Behavioral Sciences at Duke University Medical Center. He received his Ph.D. from the University of Washington in Clinical Psychology and is board certified from the American Board of Professional Psychology. Dr. Blumenthal is the recipient of several awards including an honorary doctorate from Uppsala University, the Outstanding Contributions to Health Psychology Award from the American Psychological Association, the Bakken Pioneer Award from the Cleveland Clinic Heart-Brain Institute, the Michael L. Pollock Established Investigator Award from the American Association of Cardiac and Pulmonary Rehabilitation and the Dodson Award for Excellence in Research in Adult Development and Aging. He is a founding fellow of the American Association of Cardiopulmonary Rehabilitation and holds fellowship status in the American Psychological Association, the Society of Behavioral Medicine, and the Academy of Behavioral Medicine Research. He is former President of the American Psychosomatic Society and the Society of Health Psychology of the American Psychological Association. 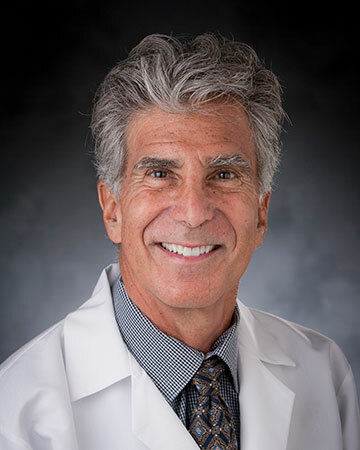 Dr. Blumenthal has served as principal investigator from Duke site for the multi-center clinical trial known as ENRICHD, a study of cognitive behavior therapy in the treatment of depression and low social support in post-myocardial infarction patients. He also has led a number of other NIH-sponsored clinical trials for patients with coronary heart disease and mental stress-induced myocardial ischemia (Smart Heart), patients engaged in cardiac rehabilitation (ENHANCED), patients with hypertension (ENCORE and TRIUMPH), patients with depression (SMILE and UPBEAT), and patients with pulmonary disease (INSPIRE). His current projects focus on lifestyle interventions for patients with mild cognitive impairments (ENLIGHTEN), and exercise and anxiolytic medications for anxious patients with ischemic heart disease (UNWIND).